Waiting On Wednesday is a weekly meme hosted by Jill over at Breaking The Spine, that spotlights upcoming releases that we can't wait to get our hands on! 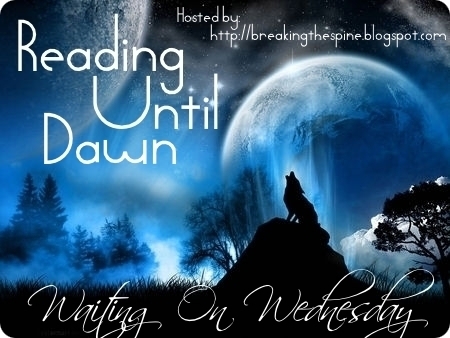 This week's WoW is The Retribution of Mara Dyer by Michelle Hodkin. The Retribution of Mara Dyer is the last book in the Mara Dyer Trilogy. When I first started this series, I was expecting some sort of annoying, romance driven, slow paced, contemporary novel. But what I found instead....totally caught me by surprise! After reading the first chapter, which was a whole different level of creepy, I was completely hooked. I don't know why I waited so long to post The Retribution of Mara Dyer as my WoW, but I have finally seen the error in my ways. Can't wait for the synopsis to release! Nice! Hear lots of good things about this series but have yet to start it for some reason. Hope you enjoy the finale! I just recently read The Unbecoming of Mara Dyer (a little late!) and can't wait to read the second book. I fell in love with this series. It's got the perfect balance of mystery and intrigue. I still have to read the second one, ugh... But I love the first. :D Great pick. I still haven't started this series, but it is on my radar. Enjoy! Ahh good pick! I can't wait for this one!! I cannot wait for this novel. I loved the first two. Why does it have to be so far away?! AAAAAAAAAAAAAAAAAHHHHHHHHH! AAAAAAAAAAAHHHHHHHH! How did I miss this cover! Love Mara - so stinkin' excited for this one. Love love love the series!! I have not read any of the Mara Dyer books yet, but I'm super curious about them! Eventually I will. When I have time to start conquering my TBR pile. :) I hope you have lots of books you can occupy yourself with during the wait for the finale!